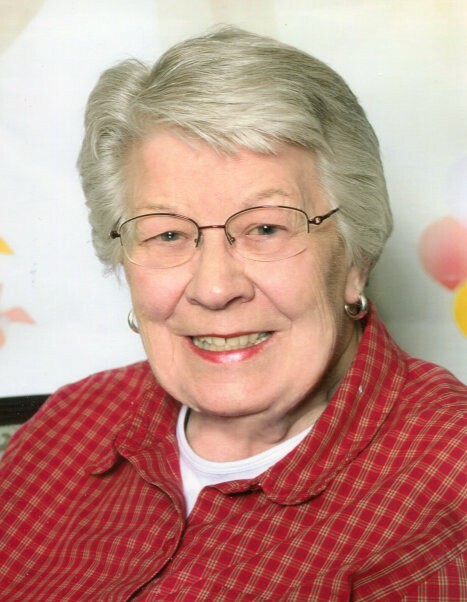 Obituary for Alice Crandall | Stone Funeral Home, Inc.
Life-long resident of Petoskey, passed from this life on Saturday, April 6, 2019. Alice was born on January 11, 1932, the daughter of John “Jack” and Esther (Foster) Smith. On October 8, 1955, she married Robert “Bob” Crandall, and together they had six children. They were happily married until Bob’s death in 1998. Alice was a homemaker while the children were young and when all were in school, she went back to work for City Service gas company, where she had worked prior to having children. She also worked at Breymeyer Bain and retired from Artisans Gallery in 1993. She was a life-long member of St. Francis Xavier Church and a member of the Alter Society for many years. Alice was a loving, nurturing mother to her five daughters, Karen (Steve) Jakeway, Donna Crandall, Laura (Steve) May, Linda (Dan) Kolinski, and Becky (Todd) Mattingly. She was a special grandma to 13 grandchildren and 13 great grandchildren. She will be missed by all who knew and loved her. She was preceded in death by her parents; her husband; a son, Robert John “Bobby” Crandall in 1961; 3 brothers, Thomas (Norma) Smith, William (Patricia) Smith all of Petoskey and Donald Smith of Lowell. A funeral Mass will be held on Friday, April 12th at 11am at the St. Francis Xavier Catholic Church. The family will receive friends at the church from 10am until the time of the Mass. Those wishing to make a memorial contribution in Alice’s memory are asked to consider the Friendship Center of Petoskey. Those wishing to leave a memory of Alice or a condolence for the family are invited to do so on her online register book at www.stonefuneralhomeinc.com.